Death by suicide not only affects the person who died, but also others - "suicide survivors" - who cared deeply about the person. If you are a student survivor, this experience may be one of the most challenging experiences that you've ever faced. While there is no easy way to grieve, it is often helpful to understand what you might experience as well have access to resource information. The shock and grief that consumes you after you lose someone to suicide is overwhelming. It can feel like you have fallen into a deep hole and will never be able to get out. These are natural feelings which will likely change as you move through the grieving. SHOCK: "I feel numb." Feelings of being dazed or detached are a common response to trauma. Shock can protect the mind from becoming completely overwhelmed, allowing the person to function. DENIAL: "I feel fine." Sometimes people can consciously or unconsciously refuse to accept the facts and information about another's death. This process can be even more challenging when there is little information or explanation about a loved one's suicide. Eventually, as you gather information and accept that you may not be able to know everything, you can begin to process the reality of this tragic event and all the emotions that come with it. In time, however, our minds become more able to analyze the tragic event, and this allows the denial to give way to less troubling emotions. GUILT: "I think it was my fault." Feelings of guilt following a suicide are very common. Guilt comes from the mistaken belief that we should have, or could have, prevented the death from happening. Guilt can also arise if there are un-reconciled issues with the deceased or regret about things said or not said. In truth, no person can predict the future, nor can they know all the reasons for another person's actions. It is human nature to blame oneself when experiencing a loss, rather than accepting the truth that some things were out of our control. SADNESS: "Why bother with anything?" Once the initial reactions to the death by suicide have lessened in intensity, feelings of sadness and depression can move to the forefront. These feelings can be present for some time and can, at times, be triggered by memories and reminders of the loved one who was lost. Feelings of hopelessness, frustration, bitterness, and self-pity are all common when dealing with a loss of a loved one. Typically, you gradually learn to accept the loss and embrace both your happy and sad memories. ANGER: "How could they do this to me?" Feelings of anger towards the person you have lost can arise. Many who mourn feel a sense of abandonment. Others feel anger towards a real or perceived culprit. These feelings can be complex and distressing when they are directed at the person who died. It is important to know that it is possible to both be angry with someone, and to still hold them dear in your heart. Sometimes anger is needed before you can accept the reality of the loss. ACCEPTANCE: "I can miss them and still continue living." The ultimate goal of healing is to accept the tragic event as something that could not have been prevented and cannot be changed. Acceptance is not the same as forgetting. Instead, acceptance is learning to live again and to be able to reopen your heart, while still remembering the person who has passed away. STIGMA AND ISOLATION: Talking about suicide can be difficult for those who have experienced the loss. Different cultures view suicide in different ways, and sometimes discussing it can be a challenge. This can also be made more difficult when the act of suicide conflicts with religious views. Suicide can be isolating as communities of friends each struggle differently to make sense of the loss they all experienced. Finding the right people in your support network who are able to help you experience your loss is important. Sometimes, this may mean seeking professional help in order to help you cope with your loss.  In those situations it is recommended that you contact a counselor at the UT Counseling and Mental Health Center, or find a trusted therapist in the community. MIXED EMOTIONS: After a death by illness or natural causes, the bereaved' s feelings may be less complicated than when the death is by suicide. When a death is by suicide, you might both mourn the person's passing while also hold intense feelings about the circumstances of their death. Feelings such as anger, abandonment, and rejection can all occur after a suicide as well as positive feelings about the deceased. Sorting through all of these diverse feelings can make the healing process more challenging. NEEDING TO UNDERSTAND WHY: Understanding the circumstances of a death by suicide can sometimes lead us to asking "Why?" You may second guess actions, wish that you had noticed signs earlier, or wonder how you could have acted differently. This need to understand "why" may be a difficult path, as the circumstances surrounding the loved one's death could be unclear or not easily known. Some questions may never be answered, while you may find other answers that make sense. Sometimes you will find answers to your questions, while other times, you must learn to accept the fact that there are some things no one can know. RISK FOR SURVIVORS: People who have recently experienced a loss by suicide are at increased risk for having suicidal thoughts themselves. After experiencing the loss of a loved one, it's not uncommon to wish you were dead or to feel like the pain is unbearable. Remember that having suicidal thoughts does not mean that you will act on them. These feelings and thoughts will likely decrease over time, but if you find them too intense, or if you're considering putting your thoughts into action, seek support from a mental health professional. SEEK SUPPORT: It's very important to find people in your life who are good listeners, so you can turn to someone when you need extra support. You may find it helpful to talk to a friend, family member, mental health professional or spiritual advisor. Some find joining a support group helpful since each person will be able to relate in different ways to your experience. The UT Counseling and Mental Health Center offers a Grief and Loss group that you could join. Whatever support looks like for you, it's important to reach out for help when you feel like you need it. BE PATIENT: Just as you may be feeling a range of emotions, people around you may also be sorting through their feelings. Be patient with yourself and others: those who are supportive of you as well as those who do not seem to understand. Limit your contact with those who tell you how to feel and what to think. Take time to heal. Set limits for yourself, and give yourself permission to say "no" to things that may come your way. It's difficult to make decisions when you're feeling overwhelmed; you may decide it's best to put off important decisions until you feel ready to make them. STAY PRESENT: Take each moment as it comes. That way, you can better accept whatever you're feeling and be able to respond in the way that is most helpful to you. Maybe you would benefit from calling your best friend. Maybe journaling would help you let go of your thoughts for now. Learning mindfulness or relaxation techniques like deep breathing can help you stay present and experience your emotions without feeling overwhelmed. The UT Counseling and Mental Health Center offers a Mindfulness Meditation group, or you could check out their MindBody Lab located on the 5th floor of the Student Services Building. EXPRESS YOURSELF: You can choose to tell others how you're feeling or acknowledge your feelings privately. If you don't feel like talking, you can set aside time each day to grieve. Just make sure you leave enough time to do something pleasantly distracting before bed. Either way, acknowledging your experiences helps. ALLOW YOURSELF TO HAVE FUN: Social events or pleasant activities can provide relaxation and distraction. Laughter heals, and it's also OK if you cry. ESTABLISH ROUTINE: Even getting dressed may seem challenging, but it's important to reestablish routine as soon as you can. Building in some structure can help you manage your grief and provide a sense of normalcy and hope. If you'd like to find a support group in your hometown, click here. When a loved one or friend dies by suicide, knowing what to say to others can be challenging. Sometimes the stigma associated with suicide can cause survivors to feel like they need to hide the truth or suppress their anguish. Sometimes survivors feel that others who were not directly touched by the suicide do not understand what they are experiencing. When this happens, dealing with a loved one's suicide can feel like a painful secret. It is important to think about what you are comfortable talking about, and what you may say if you are asked questions. You might choose to tell others that you aren't ready to talk, e.g., "I can't talk about this right now. It's too painful." If you are ready to tell others about the loss, you still may choose not to tell them all the details. In those situations, it is fine to say, "They died by suicide, but it is too hard for me to talk about what happened at this time." Remember, when and how you talk to others about the suicide is completely your decision. Stigma remains a hurdle to cross when talking about suicide. Stigma is an undeserved and harmful label that others put on someone or something. It can make you feel like you must hide the truth behind a loved one's death in order to avoid being judged by others. The stigma associated with suicide can be scary, but you are not alone, and finding those who you can talk with is important. The UT Counseling and Mental Health Center is a good resource for either direct support or for more information about community resources. Grief after losing someone to suicide can feel like a rollercoaster, full of intense ups and downs and everything in between. There are healthy ways to cope with your loss. Resources are available on campus to help you with your academic and emotional needs. Reach out to friends, family, and supportive others when you want to talk or need distraction. If the intensity of your grief does not ease in time, seek professional help. You will never "get over" the loss you've experienced, but over time you can begin to heal. If you are a friend of someone who has lost someone to suicide, visit Helping a Friend Who Has Lost a Loved One to Suicide for helpful information and resources. Feigelman W., Gorman, B. (2008). Assessing the Effects of Peer Suicide on Youth Suicide. Suicide and Life-Threatening Behavior 38(2). Kovac, S., Range, M. (2000). Writing Projects: Lessening Undergraduates' Unique Suicidal Bereavement. Suicide And Life-Threatening Behavior 30(1). Sherer, K. (1999). Life After Loss Dealing with Grief [Pamphlet]. UT Counseling and Mental Health Center. Schnider, K., Elhai, D. (2007). Coping Style Use Predicts Posttraumatic Stress and Complicated Grief Symptom Severity Among College Students Reporting a Traumatic Loss. American Psychology Association Vol. 54, No. 3, 344-350.